Winfield Coachman, a program manager from A123 Energy Storage and Chrysler. Rivian received capital from a mystery investor. The 2.6 million square foot plant has a capacity of 240,000 units per annum. 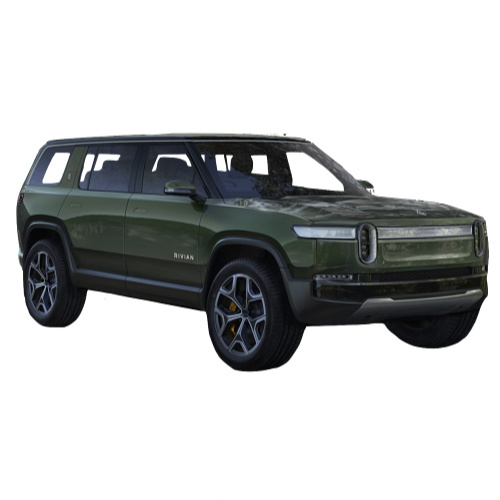 Interested in buying a Rivian electric vehicle? See how the price and range of Rivian EV models compare with its competitors in key markets. Go to our detailed breakdown of Global EV Sales to see how the RIVIAN electric car strategy fares to its competitors in the fast-growing EV market. Rivian plans to bring two models to market in 2020 codenamed A1T and A1C, of which A1T is a pickup truck type, and A1C is a 7-seat SUV model. The A1T body size will be smaller than the Ford F150, similar to Nissan Navarra. The A1C SUV shares more than 90% of the components of the A1T pickup. 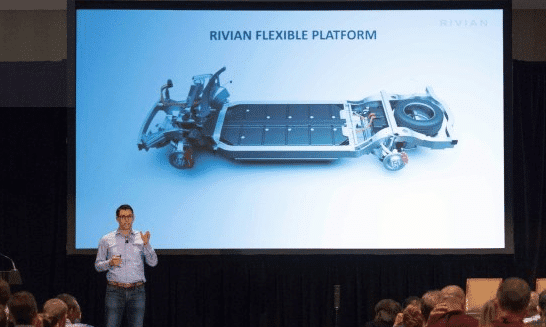 Rivian states that the A1T model can travel at a depth of 1 meter, with a ground clearance of 36cm and a maximum approach angle of 45°. Also, the pickup accelerates from 0-62mph in only 2.8 seconds and has a cruising range is 452miles (724km). Both the A1T and A1C advanced driving assistance systems are rated as SAE Level 3. Rivian Automotive secured $200 million in debt financing from Standard Chartered Bank this week to commence EV production at its plant in Illinois, USA. 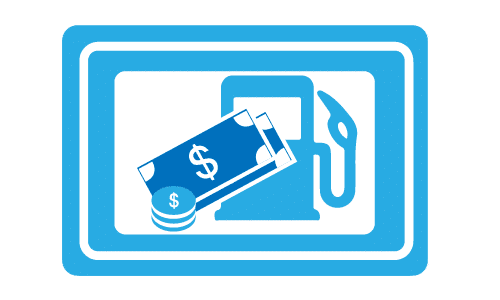 The latest funding brings total funding in the company to nearly $500 million as it gears up to produce its first EVs in 2020. 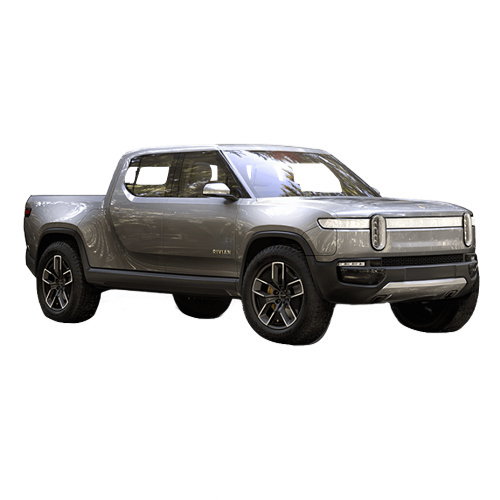 Rivian plans to roll-out an EV Pick-up truck and SUV from 2020, competing with the likes of local competitors Tesla, Bollinger and Workhorse which all plans to sell electric pick-ups by that time. The A1T (Truck) and A1C will be unveiled at the Los Angeles Auto Show later this year. The price range for the A1T and A1C will range between $50k and $90k. A year ago I reported on a stealthy EV-startup, Rivian Automotive acquiring a mothballed Mitsibushi assembly plant in Illinois. The past week Rivian Automotive lifted the veil slightly on its plans through a launch of a marketing campaign. Rivian announced that it will come to market by 2020 with two EV models, a seven-seater SUV, and a five-seater pick-up. Appart from looking more than an extreme sports site the automaker’s website does not provide more information other than that the AWD vehicles will be connected and equipped with advanced self-driving, accelerating to 60mph in under 4 seconds and have a wading depth of 3 feet. The site also mentions that the vehicles will have a massive lockable storage capacity and innovative cargo management solutions. Judging from the team of experts available to the company which includes Dodge Viper designer Tom Gale and former McLaren engineer Mark Vinnels the start-up has a fighting chance.